The Pound advanced for a fourth consecutive day against the US Dollar yesterday, as the GBP exchange rate to came close to a four-year high and made a gain against the Euro as investors increased their bets that the UK economy will see a pickup in growth. 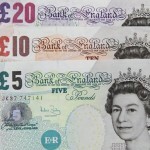 The currency continued to strengthen yesterday despite GDP figures coming in just below forecast. The US Dollar softened yesterday after data showed that consumer confidence dipped slightly this month. Losses were restrained however as the figure remained close to last month’s figure which was the highest seen since January 2008. Later today, the U.S. is to release preliminary data on first quarter GDP, as well as an ADP report on private sector job creation and data on manufacturing activity in the Chicago region. The Euro held on to yesterday’s losses against its major peers as investors grow nervous ahead of the release of today’s eagerly anticipated Eurozone inflation data. A German inflation report released on Tuesday came in below expectations, raising the possibility that today’s figures will disappoint and pile pressure upon the European Central Bank to introduce monetary easing measures at next week’s policy meeting. The ‘Aussie’ pushed higher against many of its major peers due to a rally in the global share markets and on expectations that the US Dollar will trade within a narrow range ahead of today’s data releases. Economists are expecting today’s US GDP data and Federal Reserve policy meeting decisions to match market expectations. The New Zealand Dollar firmed against a number of peers following the release of mixed domestic data. New building consents in the country increased by 8.3% smashing forecasts for a rise of 2%. Another report showed that business confidence fell from 67.3 to 64.8 in April restraining further gains. The Canadian Dollar softened against the US Dollar and other major peers as commodity prices fell and as investors looked ahead to the day’s international data releases. An easing in tensions in Ukraine offered the currency some support. The Rand regained some ground in yesterday’s session but remains vulnerable to tensions in Ukraine and the impacts of the unresolved three-month long strike in South Africa’s platinum mining sector. The failure of attempts to end the strike at the start of the week weighed heavily and continues put pressure upon the currency. The Rand could fall further if today’s Eurozone inflation disappoints as the currency often tracks the Euro.